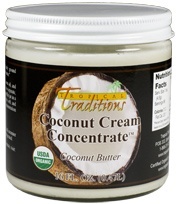 Coconut Cream Concentrate, also known as “coconut butter” is a nut butter-like spread made from coconut. Like many nut butters, it often separates into two layers: solid, and oil. 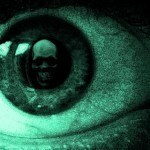 It may have to be mixed thoroughly before consuming. Even if the Coconut Cream Concentrate (for short: CCC) gets completely rock hard at colder temperatures, this is easily fixed by gently heating the entire jar using hot water and simply mixing back in (watch the video below to see how it’s done). You can also use the same method to adjust the consistency of this unique product anywhere from a liquid to a thick, creamy spread. Just remove from heat and stir every couple minutes to avoid heating past the consistency point you’re going for. 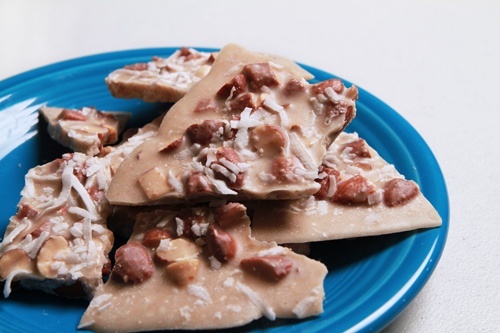 CCC’s unique personality of melting down to a liquid then solidifying into a creamy, crunchy, white chocolate-like bark is best taken advantage of with a recipe like the Better Than Candy Nut Crunchies. 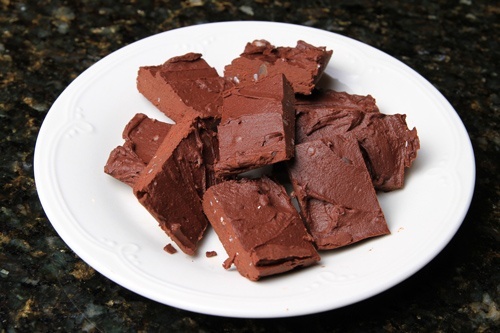 This is an easy, no bake, no cook candy that anyone can make in just a few minutes. 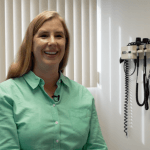 Get creative and crazy with the mix-ins! 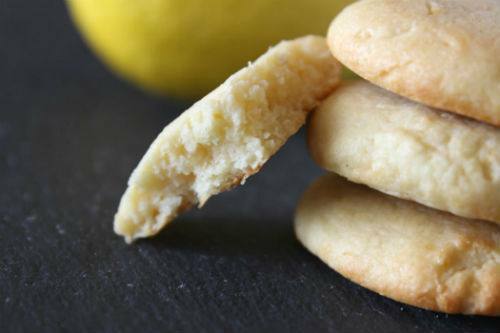 Flourless Coconut Lemon Cookies recipe. Coconut Cream Concentrate has a lot of fiber, and its meaty, grainy texture makes it a great stand in for flour in recipes like these Flourless Lemon Coconut Cookies. To use it in recipes like this, cut back on the liquid a bit and try an approximate 1:1 ratio CCC to flour. The finished product will be very rich, and very delicious. Piña Coladas take the classic flavors of coconut and pineapple and put them together to make a sweet, summery drink which you can easily duplicate in this easy, frosty drink with Coconut Cream Concentrate. 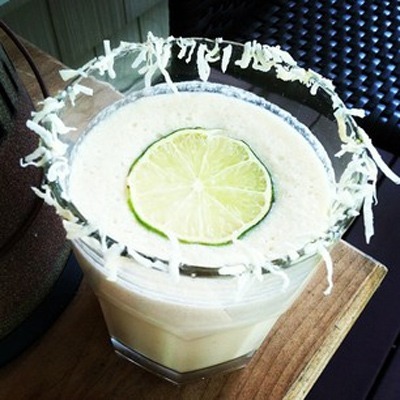 If you’re worried about the CCC clumping up, melt it down first and pour it into your drink as it blends in the blender. 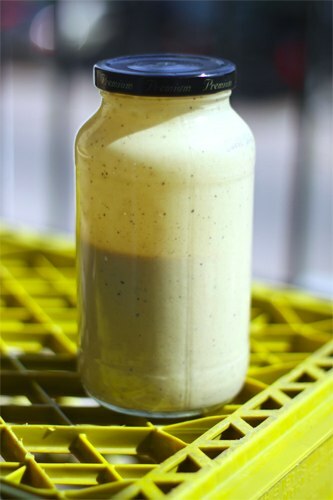 Magic Sauce and Dressing recipe. 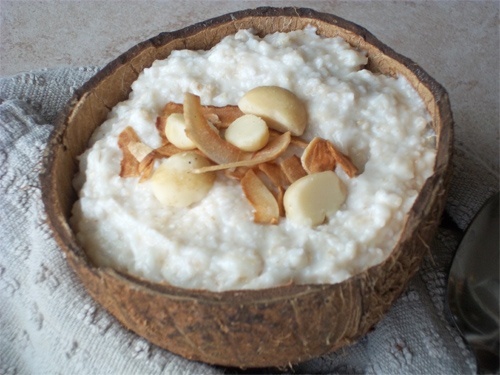 Coconut Cream Concentrate is too good to only be used in sweet recipes. The Magic Sauce and Dressing recipe is two recipes in one, being both a salad dressing and dip for fresh vegetables and chips. 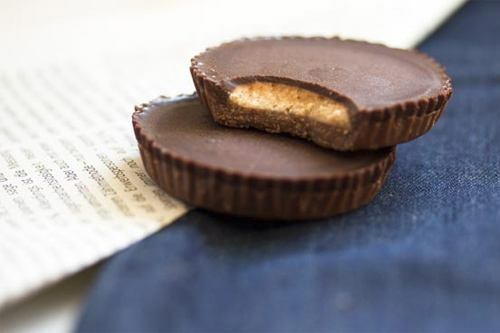 Nut butter filled chocolate cups are a lot easier to make at home than you’d think. The Coconut Butter Cups use Coconut Cream Concentrate with just a touch of another nut butter of your choice as the filling, but you can do 100% coconut if you so choose. The CCC is so sweet on its own that you won’t need to add any sweetener. Oatmeal can get boring when eaten plain, but with the addition of lime and coconut in this Coconut Lime Breakfast Oatmeal, you’ll find it to be far from boring. If you don’t have time to make fancy oatmeal, just add a spoonful of CCC to your regular oatmeal to increase the filling and flavor factors. 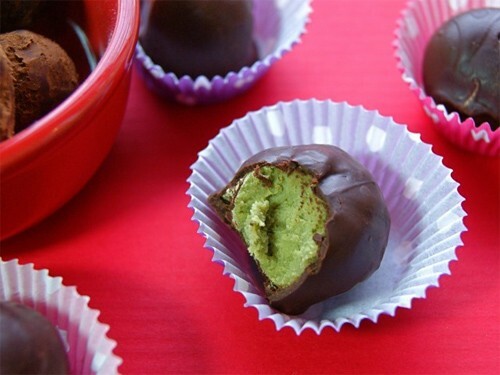 Matcha and Coconut Butter Truffles recipe. Impressive to look at and seemingly daunting to make, certain chocolate truffles are another deceptive treat that isn’t as hard to make as it may look. CCC is mixed with matcha, a Japanese green tea powder to make a very unique and naturally colorful homemade candy that’s easy enough for a beginning candy maker to try out. 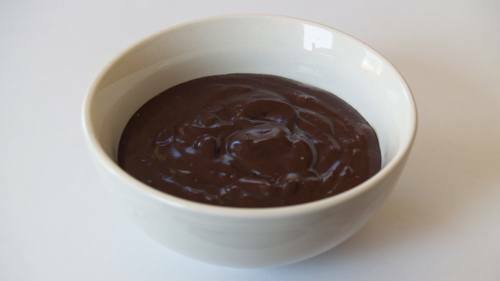 The Quick Chocolate Pudding/Fudge is another two-recipes-in-one deal. Even better, it takes only a few minutes to make. CCC is the star of this recipe, transforming just a small handful of ingredients into a smooth, velvety, insanely rich, no-bake and no-cook pudding that you can either eat right on the spot or chill until it hardens into a soft, creamy fudge. This sweet treat is every bit as good as it looks and sounds. 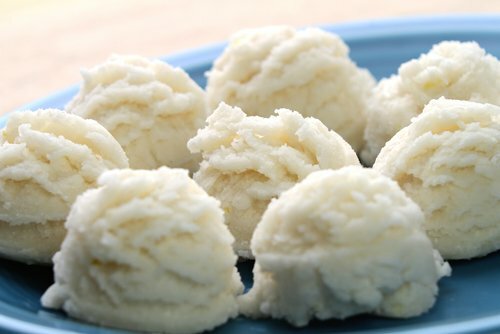 The Quick Lemon Coconut Bites (includes how-to video) are another good example of how versatile CCC can be. To get the perfect texture in the finished product, soften the CCC to a peanut butter-like texture and then mix everything up. The end result will be a smooth, creamy, firm truffle/cookie dough like bite bursting with tart, sweet lemon. Use a little cookie scoop to get the same look for your candies. 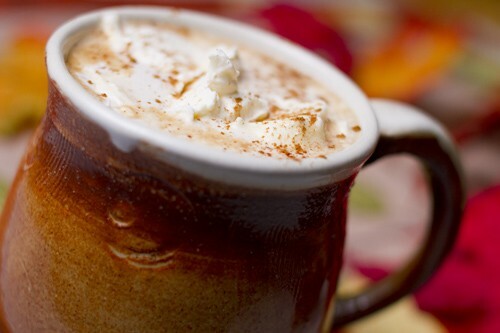 Finally, adding Coconut Cream Concentrate to hot drinks is a great idea. Here, it is used in a Spiced Coconut Mocha that will be better than the stuff you pay for at the coffee shops, but it doesn’t have to be limited to mochas. Use it in any drink that could use some extra flavor and creaminess! 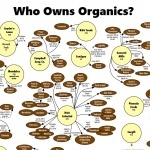 Find hundreds of kitchen-tested user-submitted recipes at FreeCoconutRecipes.com!